Let’s see: fire, dame, sharks: okay, I’m in. Some pretty awful acting and dialogue decorate this phony exercise, and the burning oil wells have little spectacle. Landon plays one of those earnest, clean types you’re supposed to be charmed by, but when his fiery fate is ordained by the script, all that emerges is a chuckle, such is the emotional pull of this lame-brained tax write-off. 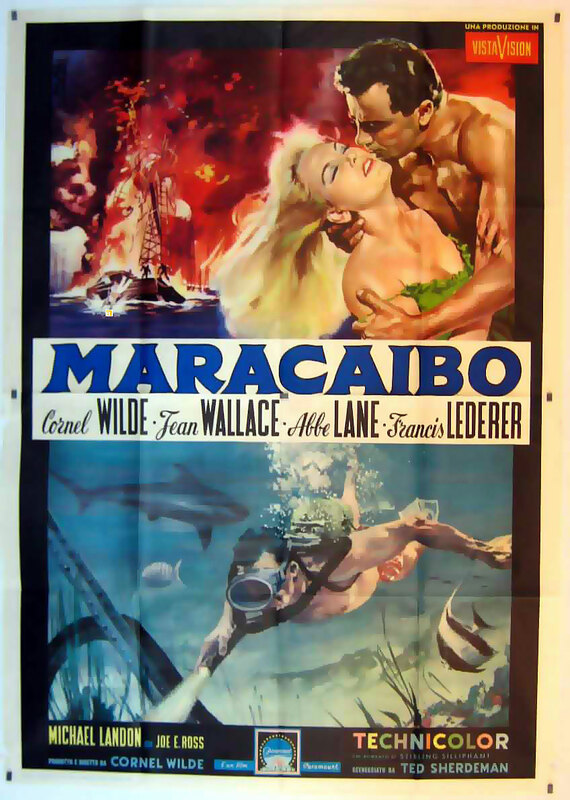 Produced & directed by Wilde, the third of six films he directed in which he co-starred with his wife Jean Wallace. 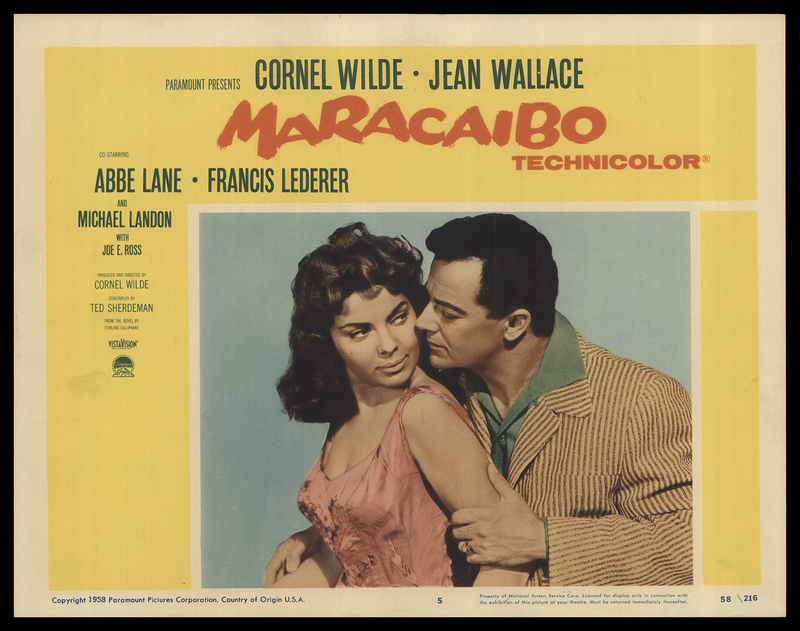 There is a little atmosphere from Laurindo Almeida’s score, and locations in Caracas and the title city are of mild historical interest as regards the Venezuela of 1958. 88 minutes.